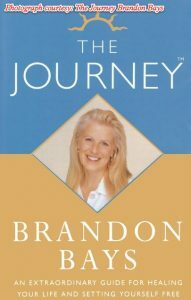 The Indian version of the very inspirational book The Journey has been recently launched by international mind, body and health expert Brandon Bays, that has been re-published by Harper Collins, and was released in December 2011 in New Delhi. The book is based on the author Brandon Bays, about healing herself from a large tumour in only 6 ½ weeks requiring no drugs and no surgery. 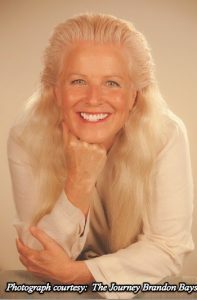 The healing process is based on her own personal experiences that shares simple and practical techniques that can be practised by readers from all walks of life. 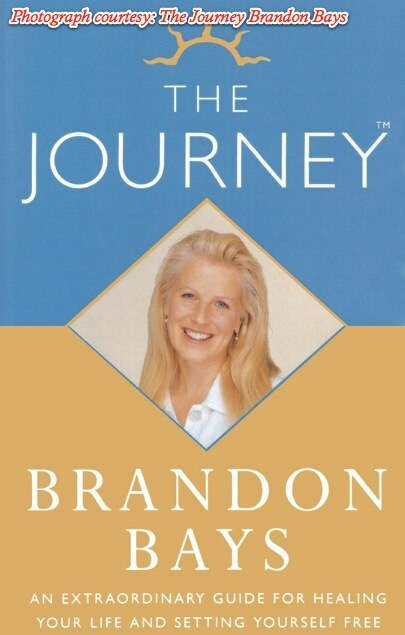 As a part of her book launch in India, Brandon Bays and her team will be travelling across India spreading The Journey Method in Delhi, Mumbai, Pune, Bangalore, Hyderabad, Chennai and Goa from January 26th 2012 to March 04th 2012. The Journey has sold over a million copies worldwide and has been translated into 22 languages. It still remains on the bestseller list in many countries. Journey Seminars currently offer programmes in 38 countries around the globe and Journey Outreach, the official charity of The Journey has numerous ongoing projects throughout Europe, North America, Africa, India, Asia and Australasia. People from all backgrounds, religions, cultures daily use Journeywork in their homes, schools, hospitals, prisons, government ministeries, and businesses to keep the lampshade off and live to their fullest potential. Q) When did it all begin? A) From a very young age I knew there was more to life than just this physical form and its perception of apparent ‘reality’, and throughout university and my younger adult years I was on an ardent spiritual search, studying many religions, philosophies, traditions, seeking deeper answers and eventually qualifying in many alternative healing modalities. I was by then living a vibrant, fulfilled life, or so I thought!… Then, at the age of 39, even though I felt I was living a healthy life and doing everything ‘right’, I was diagnosed with a tumour the size of a basketball. This proved to be my wake up call, the call to get real and uncover the shut-downs, hurts and traumas which were unconsciously keeping me from living as an expression of my true essence. 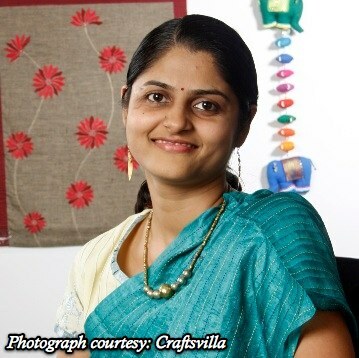 Q) What inspired you to start The Journey? A) With the tumor diagnosis my doctor insisted that I needed urgent surgery, but after much persuasive negotiation she allowed me one month to try to heal myself using the alternative methods I knew. I ate only raw food, had massage and hydro-colonic therapy, I took healing herbs, did positive visualisations – in fact I tried anything and everything I could think of. I looked vibrant and healthy but the tumor was unchanged, still the size of a basketball. Then one day while lying in despair on a massage table, I simply and completely gave up. I let go all of my knowledge, my education, my experience, my mental ‘knowing’ and I listened very carefully to something deeper, to an inner stillness, some worldless genius within. It revealed to me an old memory of childhood trauma which I thought I had handled years before! It frustrated me that the same old memory would arise again, but having nothing to lose I let myself be guided deeper inside. Eventually, I heard the word ‘forgiveness’! I had previously accepted my past but this acceptance came with the sense of being a survivor, complete with its own story and some emotional ‘baggage’ to drag around with me. So I found a way to completely forgive the past, and in that forgiveness was able to let that cell memory with the old pain, the old story goes completely. I found that the tumour had not been clinging to me, but rather that I had been clinging to it… and it left my body, completely and naturally, without surgery in only six-and-a-half weeks time. It is from this direct experience that The Journey was born and grew into the healing and awakening modality that has helped so many thousands to heal from emotional and physical issues around the world. Q) What were the challenges faced when you decided to write or make a positive change in your life? A) We all at the deepest level have access to an innate greatness, an infinitely healing and liberating force that can orchestrate our lives perfectly and magnificently. The difficulty most of us experience is in accessing that greatness and living day-to-day in awareness of it. The problem is that we are all deeply imprinted by life’s conditioning, its ‘vasanas’, what I have come to cal the silent saboteurs. These silent saboteurs operate unbeknown to us, compromising and undermining us at a cellular level. For example, we may decide to make some positive changes in our life – to get healthy or fit, to lose weight or to focus on our career and get ahead financially – and so we make a plan to ‘shift’, to make a fundamental change in our behaviors and our lives. And for a while, a week, a month, maybe longer, we stick to the plan. But sooner or later our silent saboteurs get the better of us, and for no understandable reason we fall back into our old unsupportive habits of eating the sweet or rich foods that cause us to be overweight, of switching on the television or mindlessly browsing the internet rather than working out at the gym, or of getting drawn back into the drama, the politics and the ‘blame-someone-else’ for the things that go wrong in work rather than opening to our creativity and genuinely being part of the solution to the inevitable challenges that life brings our way. The unhealthy beliefs – about our potential, our abilities or our station in life, for example – we inherited from friends, family and our culture, the old and unsupportive promises and vows we made to ourselves or others, the compromising or self-punishing rules that we ‘bought into’ from childhood, and a host of other limiting conditioning give fuel to our silent saboteurs, and cause us to put a ‘lampshade’ over our talents, our light. A big part of The Journey’s popularity has been because it helps people to dig in deeply, get to the real root cause of our self-sabotaging patterns and clear them completely. Then our true, limitless potential as divine human beings can truly shine! Q) Who is the book aimed at and how will it/ has it benefit(ed) the reader? A) The Journey is for the everyday person, for anyone who realises that there must be more to life than the existence we normally settle for. It is for anyone who has ever searched for deeper answers to life’s questions and challenges, for anyone interested in a practical, ‘how-to’ method for living a life of infinite potential, purpose and fulfilment. When I was writing the book I imagined an ordinary person in an ordinary town, living an ordinary life, and that’s who I wrote it for. The book allows the reader to accompany me on my personal journey of discovery and healing, but so often people tell me that it is their story, their challenges, their life issues and realisations that come to the surface when they read it. They uncover the reasons they were not living life as a full expression of who they really are – boundless potential. I regularly receive reports from people from all walks of life telling me about the physical, emotional and spiritual healing that has taken place in readers’ lives and in those of their family and friends. The Journey’s powerful emotional and physical process work is included in the book so readers can directly undergo the work and begin their own journey of healing and awakening. Q) What are the five major mistakes that people make in their lives and what can they do to correct it? Looking for truth, love, fulfilment outside of ourselves: looking externally for that one thing that will make us feel complete. All real answers reside deeply within, and nothing we can learn or gain in life can add to our essential Being, which is already whole, already complete. Believing that our old hurts, our negative experiences, our inherited conditioning limits and defines who we are: and what we are capable of in life. We often look at life as if through the dirty windscreen of a car, believing that our distorted view is clear and accurate when in truth we need to stop and clean the screen! Believing that we are the things we relate to in life: that we are defined by our relationships, our possessions, our roles, our social status and material wealth. We hence settle for pseudo-happiness, a pale imitation of true greatness, continually feeling that there is still ‘something missing’ in life, instead of diving into the limitless, mysterious grace that is our essential nature. Living life in expectation: having fixed ideas about how life should be, how it should look, sound and feel, and then comparing our lives with these illusory, fairytale stories. Expectations are hell; they cause us endless pain when things fail to work out the way they ‘should’, and they cause us to overlook and dismiss life’s beauty, its extraordinary ‘Is-ness’ as it naturally unfolds. So it is wonderful to let go of expectations and approach each of life’s moments afresh, innocently, with wonder. Mistaking the ‘weather’ for the ‘sky’: So often we get caught up in and are mesmerised by life’s stormy dramas, its emotional ups and downs. We get seduced into believing that our personal ‘stories’ are the truth, that our reactions to life’s challenges are unavoidable, and that tumult is the nature of existence. It is so good to stop and look deeper and to discover what this ‘weather’ is taking place in. It is wonderful to be Still and to recognise that who and what we are is the ‘sky’, the infinite context in which the play of life unfolds. Who we really are is essentially untouched by all life’s coming and going, and we can rest as that essence. Q) If you could offer people five tips to deal with any kind of problem they face in their day to day life, what would they be and why? Stop playing the games of ‘victim, blame and defence’. Our tendency to collapse into ‘poor me’ stories just perpetuate our suffering. Our attempts to blame and ‘fix’ others are cover-ups, excuses for not looking truthfully at our own issues, and they keep us stuck in our own pain. And our rigid barricades of protection against life isolate us and rob us of empathy and love. Better to admit our own shortcomings and treat them with the compassion we would show to a small child who was hurting. Better to be truthful about our own weaknesses, and to love them to death. Be still and open in the face of emotional ups and downs. Realise that the current circumstance, challenge or problem you face is not the real cause of your emotional reaction. Your feeling is probably related to something much older, to a ‘cell memory’ that you are still ‘hooked’ by and which remains unresolved. And know that every emotion is a gateway to a priceless gift and that if you open completely with that emotion, surrender totally into its heart, the precious gift will be revealed. Recognise that seeking for answers outside yourself has been fruitless. The search for knowledge, connection, relationship, wealth, status has brought at best only temporary respite from life’s challenges and has left you unsatisfied, still seeking. Know that all real answers lie within you, as you. You are That which you seek. Count your blessings: So often we focus on the negatives in life – what’s wrong, lacking or missing – that we overlook the ways in which we are already blessed. Gratitude draws grace. So take some time each day to focus on and write down how life has gifted, showered and honoured you. Start with the small things let them flow, and if you are really honest you’ll be amazed at how life is already rich and bountiful. I know this is a cheeky thing to say, but read The Journey book and in particular do the process work included in it. Hundreds of thousands of people around the world have used it to awaken and transform their everyday lives from the ordinary to the extraordinary. It deals with all of the issues I’ve mentioned here, and it gives you a simple step-by-step method to heal, to find the limitless Freedom that is your own true nature. 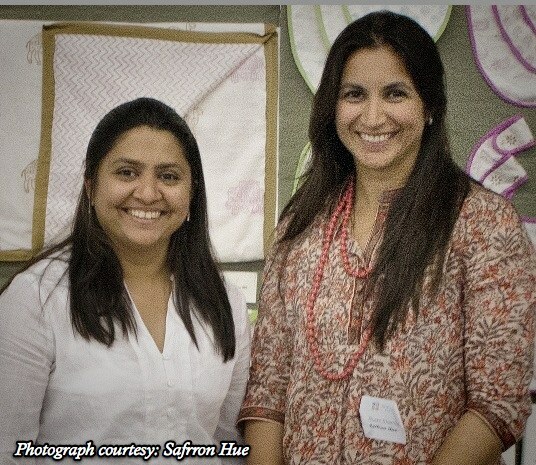 Q) Could you tell us the number of people who have been inspired by your books, seminars etc? A) The Journey has sold over a million copies worldwide and has been translated into 22 languages. It still remains on the bestseller list in many countries. Journey Seminars currently offer programmes in 38 countries around the globe and Journey Outreach, the official charity of The Journey has numerous ongoing projects throughout Europe, North America, Africa, India, Asia and Australasia. People from all backgrounds, religions, cultures daily use Journeywork in their homes, schools, hospitals, prisons, government ministeries, and businesses to keep the lampshade off and live to their fullest potential. Q) Are there any other books apart from The Journey available? Additionally in 2012 a new revised updated edition of the original book The Journey will become available around the world. Q) How can people reach you for guidance, healing etc., especially those who don’t live in the same city or country as you. A) All the information of where we are and answers to frequently asked questions are available on our website www.thejourneyindia.in or on our worldwide site www.thejourney.com also I am on facebook www.facebook.com/pages/Brandon-Bays/149399693039 if people want the most up-to-the-minute information. Q) What are your future plans? Are there more books to come or more Journeys to take? A) I live my life fully surrendered to where grace, life wants to take me all I can ever do is listen to the needs of the moments and go to where the calling is strongest. My only prayer in life is to use me and I live in daily gratitude of how life chooses to do that. Q) Kindly share a couple of inspirational anecdotes that you may have experienced personally in your life and how has it benefited you. A) I once heard that when we are born we come into life as shining, flawless diamonds, priceless in our perfection. Then throughout life’s trials and tribulations, and for most of us they start at quite a young age, muck gets thrown at us and some of it sticks. The negativities, the hurts, the projections of others soon begin to layer us and cover our natural light. Sometimes we even buy into the negativities, agree with them and smear more dirt on ourselves, and eventually, after a lifetime of covering our brilliance is so deeply submerged in the brown stuff that we forget all about the pristine preciousness that is hidden deep inside. Then, through some act of grace, through some inexplicable mystery, some of us get the chance to wake up to the beauty within – we get a glimpse of the light, of the radiant wholeness in our heart and we realise that it has always been there. And for a while it seems like we are digging in the dirt, moving a whole lot of ‘stuff’, but then the brilliance reappears and the light is stunning! We realise that this radiant light is who and what we have always been. And then for some of us, in gratitude and reverence to our eternal discovery, it becomes a ‘choiceless choice’ that we clean and polish the diamond of our Being for the rest of our lives.